Star Wars – D-Tech Me Experience at Disney’s Hollywood Studios #3dthursday « Adafruit Industries – Makers, hackers, artists, designers and engineers! I’m excited to share that the Star Wars – D-Tech Me experience will be returning for Star Wars Weekends at Disney’s Hollywood Studios this year. The experience will be located inside Darth’s Mall, the highly themed merchandise destination located in the courtyard adjacent to Rock ‘n’ Roller Coaster Starring Aerosmith. You may recall we first introduced the Carbon-Freeze Me experience last year during Star Wars Weekends (my fellow author Gary Buchanan explains how it works in this video). We also introduced the experience at Celebration VI, the ultimate Star Wars fan event that was held last August in Orlando, Florida. 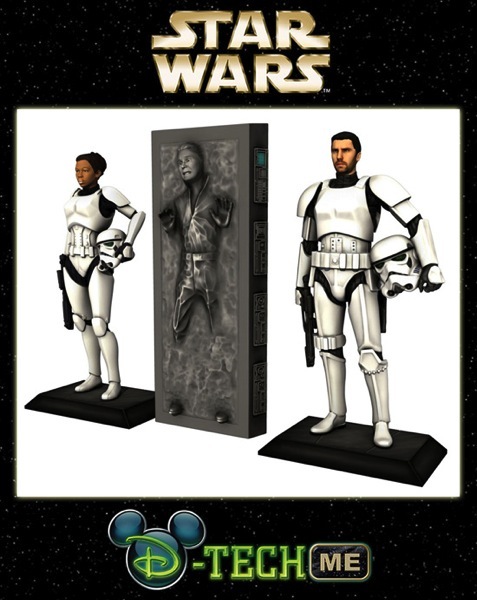 This year, we are bringing back the popular “cast yourself in Carbonite” option that was inspired by a scene from Star Wars: Episode V The Empire Strikes Back. 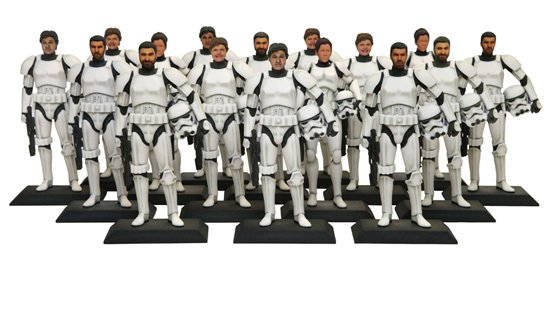 We are also delighted to offer a new option featuring the elite soldiers of the Galactic Empire, the Stormtroopers. The 10-minute experience uses the world’s highest-resolution, single-shot 3D face scanner created by our Imagineering scientists with Disney Research labs. That captured image is later sent to a high resolution 3D printer to create the figurine. The completed figurine will arrive within 7-8 weeks after the experience if shipping domestically (it takes a little longer if shipping internationally). Guests will also receive either a Carbon-Freeze Me light-up band or a collector button depending upon which option they choose….